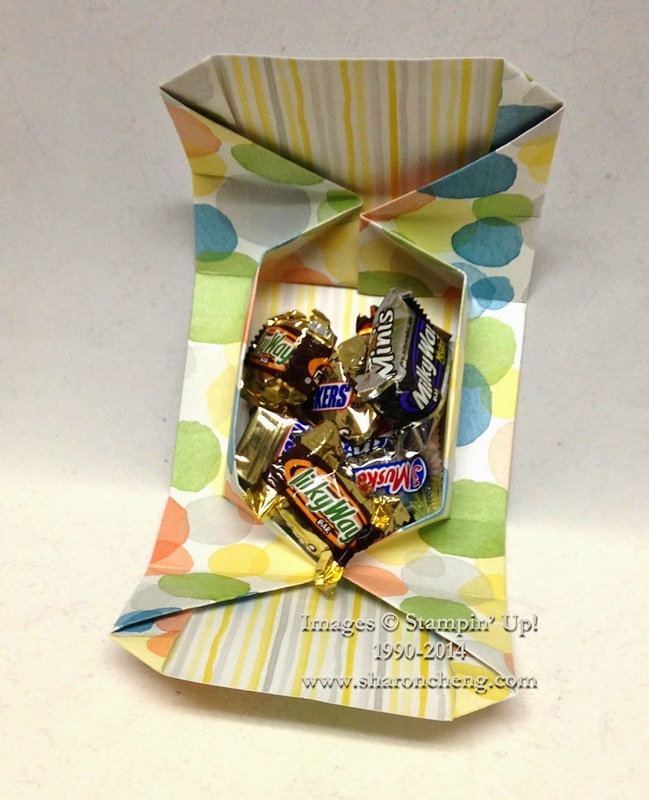 This origami box is made with a 12 x 12 piece of designer series paper, has no cutting and uses no adhesive. Origami, said to have originated in Japan, is the art of paper folding. It has always amazed me how you can take a flat piece of paper and make something three dimensional. This was the box that Marilyn Young made for a demonstrator swap. When you opened it, there were these fun treats inside. The box is held shut with the belly band. The box itself doesn't use any adhesive. By popular demand, Marilyn taught us how to make the box at another meeting. 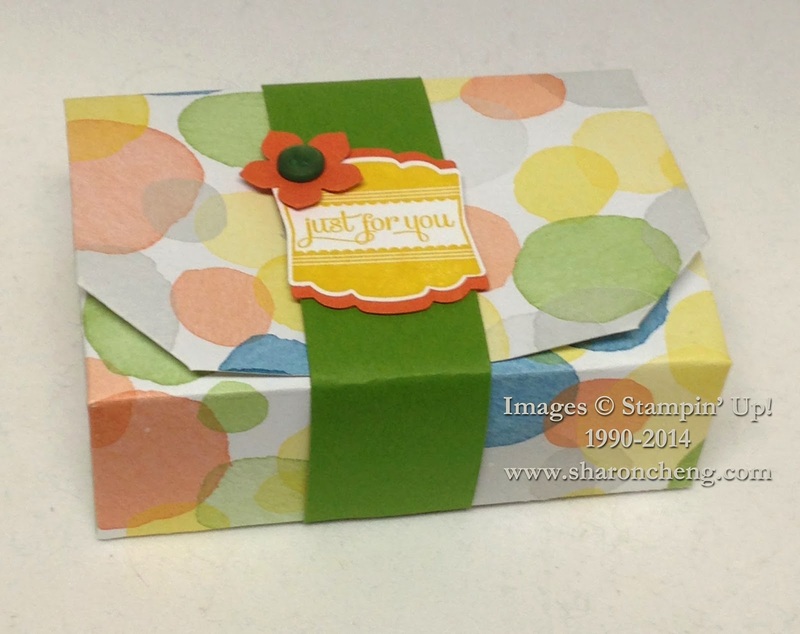 She inspired me to teach it to my stamp club! Origami is a love-hate relationship, especially if you have never done paper folding. And while everyone finished their boxes in our club, they definitely experienced the love and hate moments. 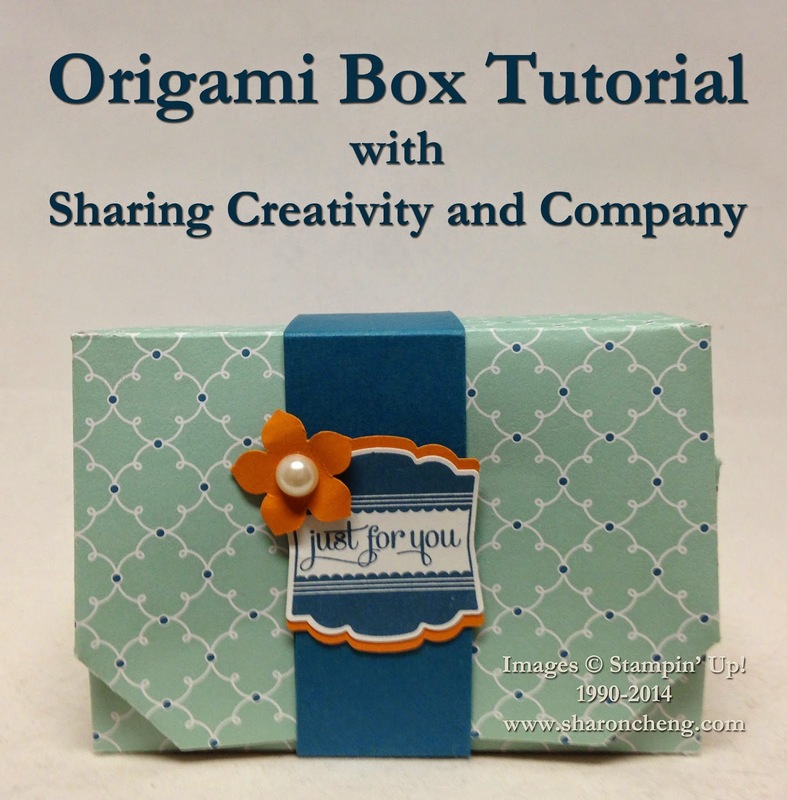 This video includes a tip that I figured out after I taught my stamp club how to make the box. I think it makes is easier to fold the box correctly. After making multiple boxes, I came up with this tip when you have multiple score lines for a project. It made it much quicker and easier to make the box.